Tom's pieces are amazing but the prices are even more amazing. 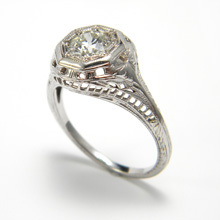 We got beautiful rings at a much lower price than any other jeweler - even online. Tom was amazing to work with! 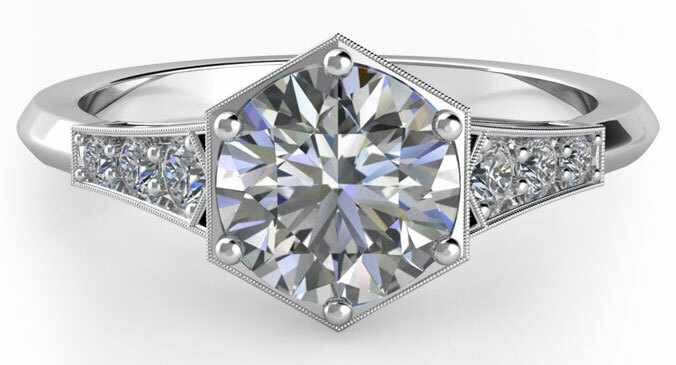 I had an idea in mind for an engagement ring and we couldn't find the design in any stores. Tom was able to take our pictures and create a beautiful customized ring for us! We discussed our budget and he designed a beautiful setting and found the perfect diamond for it. I would highly recommend going to Tom for any customized piece! Tom was awesome and helped us find the perfect present for my mom! Will definitely go back and I recommend this store for anyone looking for a beautiful piece of jewelry. 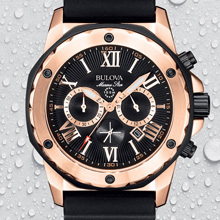 Polish & Rhodium While You Wait! If you have any white gold rings, then you’ve probably noticed that over time, it just doesn’t have that nice bright white gold look anymore. This is most noticeable on the bottom portion of the ring. Relax, this is quite normal, and can be remedied quite easily by doing what we call polish & rhodium. 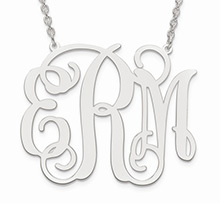 White gold usually has a finish applied to it that gives it that bright white luster. This finish is called rhodium. Over time, depending on wear, rhodium begins to wear off. Earrings, and pendants don’t get the amount of wear that rings get. Therefore, they rarely or may never need this reapplication. Most rings will need this done annually. WE DO THIS IN HOUSE, AND WHILE YOU WAIT! Most jewelers don’t offer this. Stop by, and fall in love with your white gold ring(s) again. We replace all watch brand batteries. 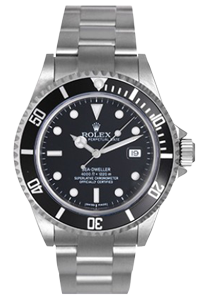 We repair and service all watch brands including Rolex. 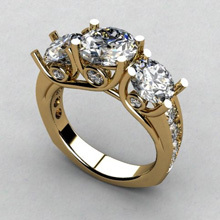 Copyright © 2019 Eternity Jewelers. All rights reserved.